GQ Magazine selected their top men of the year amongst athletes, actors, businessmen and political figures. Attorney General Eric Holder was chosen Maverick of the Year. 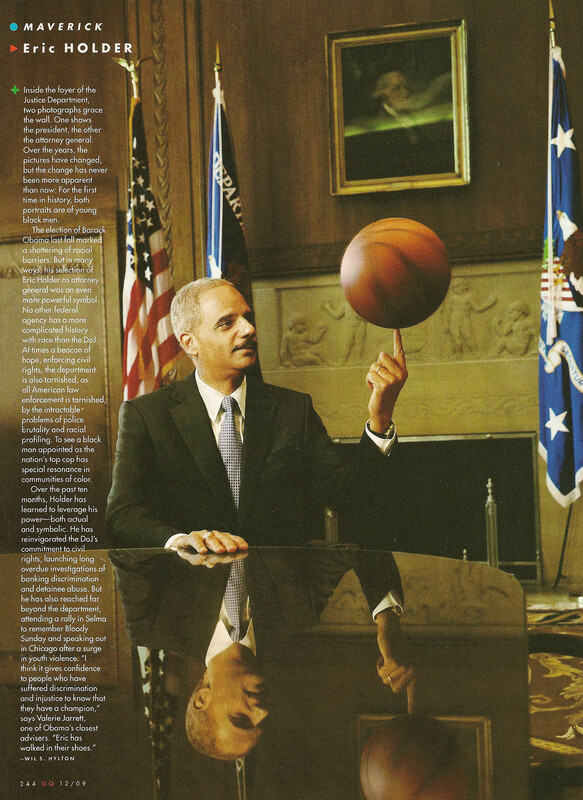 The following is an excerpt from the photoshoot at the Justice Department in Washington, D.C.
Mr. Holder was quite a sport at the photoshoot ,with fabulous photographer Martin Schoeller , for his debut with the Fashion Powerhouse for gentlemen. With a basketball spinning atop his index finger, the highest lawyer in the land made light of the fact that the ball hit among other things in his office; an official looking lampshade holder off a desklamp, a printer, and binders which were sent flying off his desk. With such critical decisions about the fate of our country’s enemies that loom over him, it was pleasant to see his spontaneity come so easily with a light heart and touch. Let’s just say he doesn’t rattle easily. 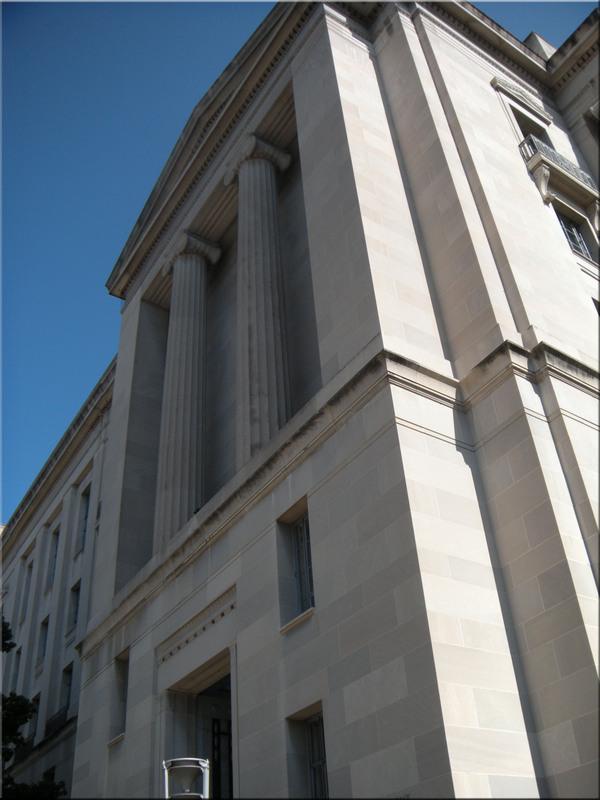 It’s always a history lesson while working in D.C. and that day at the Justice Department was no exception. The photo crew learned that Robert Kennedy’s children left circular dents in the gorgeous solid wood doors carved with wheat bales, while playing in their father’s office, which is now a conference room. It reminded me of the photo of JFK Jr. hiding under his father’s desk in the Oval Office and seeing Ted Kennedy’s dogs sticking close by their owner at the late Senator’s office. The building was reminiscent of the The White House and Supreme Court Building’s walls covered in portraits of prominent figures, who shaped the history of America.